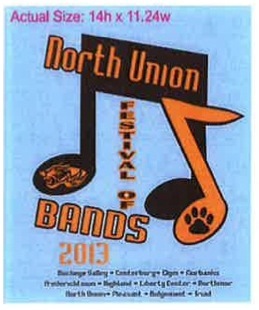 The NU music boosters will be selling festival t-shirts at the event on September 28. Details are below. You can get the back customized if you want! · Stop by and order shirt at FOB. · Name and lettering on back for an additional cost. · Make Checks out to "Pats Print Shop."